September 17, 2012 - The UK Civil Aviation Authority (CAA) has begun issuing the new European Aviation Safety Agency (EASA) pilot licenses. The first licenses, which will replace JAR and many older ‘national’ versions, were printed for the first time at the CAA’s Gatwick headquarters earlier today. The transition process to the new pan European format is expected to last five years. 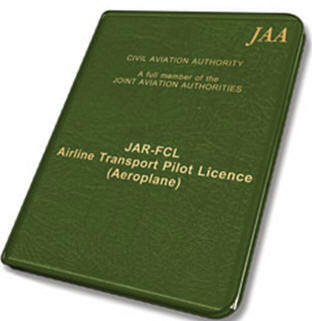 A pilot with an existing JAR license, such as a PPL, will have it replaced with an EASA equivalent whenever the license is sent to the CAA for renewal, revalidation or any other reason. The EASA licenses, which are in a new format and look quite different to the JAR and national licenses, will be valid for the owner’s lifetime. Because of the new format, different information will be required by the CAA before it can issue a new EASA license, and new license application forms have been prepared accordingly. For the first time, the new Light Aircraft Pilot License (LAPL) will also be available in the UK. The license is similar to the UK’s existing NPPL, but will be valid throughout Europe. The implementation of new rules for pilot licensing (including medical certification) across the EU is part of a process that has already seen EASA take responsibility for other areas of aviation regulation, such as airworthiness. Most UK pilots, private and commercial, will be affected by the switchover and will have to obtain new EASA licenses to continue to fly aircraft that have EASA airworthiness certificates. However, some pilots, such as those who fly microlights, ex-military and kit built aircraft, will be able to continue to use their existing licenses. This is because EASA does not regulate these categories of aircraft.